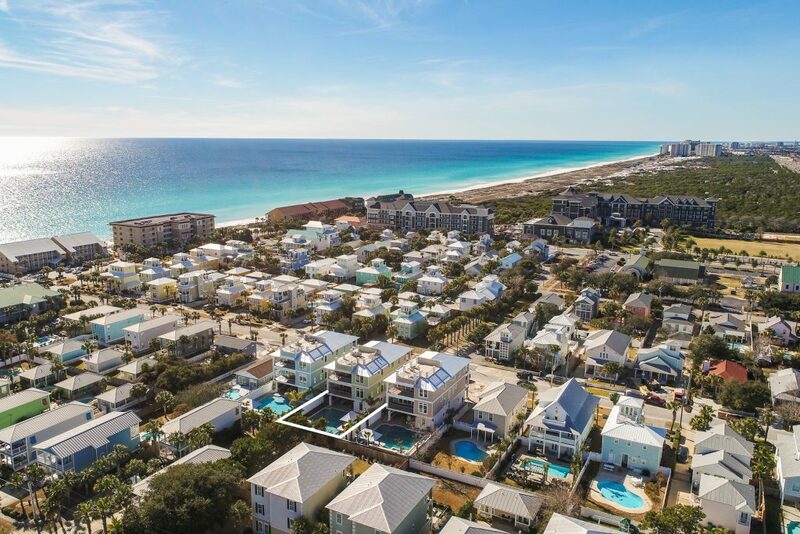 Scenic Sotheby’s International Realty represented both parties in the sale and pre-market purchase of 89 Shirah Street in the Crystal Beach neighborhood of Destin. The 5,705 square foot home completed in 2017 sold prior to hitting the market for $3,000,000 – one of the highest sales prices ever recorded off the gulf in Crystal Beach. We successfully marketed the property within Scenic Sotheby’s International Realty prior to its completion. The eventual buyer, also represented by Scenic Sotheby’s International Realty, purchased neighboring 87 Shirah Street for $3,000,000 in September, and is projected to close on 91 Shirah Street upon its completion in March. Thanks to Sotheby’s International Realty’s arrangement with Zillow, which gives all of its listing agents an opportunity to intercept inquiries on their listings ahead of Zillow’s pay-to-play Premier Agents, we were able to connect with the buyer immediately and help them make the first of three purchases totaling $9,000,000. Scenic Sotheby’s International Realty’s Coming Soon Listing Program enables it to leverage its database of over 70,000 clients to precisely market its listings to their most likely purchase candidates prior to listing them on the open market. By doing so, Scenic Sotheby’s International Realty sells over 23% of its own listings in house – 27% more than its next closest competitor, in fact – providing both buyer and seller with the best representation in the industry, vastly increasing the likelihood of a smooth and successful closing.